Draws an ellipse centered at the specified coordinates. The color of the ellipse. A color identifier created with imagecolorallocate(). // Create a blank image. // Select the background color. // Fill the background with the color selected above. // Choose a color for the ellipse. This is an optimised and bug fixed version of nojer at yahoo dot com's rotatedellipse function. I've changed it so that the arguments are compatible with imageellipse. See notes on imagearc for original version. // Rotates from the three o-clock position clockwise with increasing angle. // Arguments are compatible with imageellipse. // This affects how coarse the ellipse is drawn. // $px and $py are initialised to values corresponding to $angle=0. if you want to display an ellipse in the upper left corner of an image, you can easily calculate the corresponding cx and cy values. 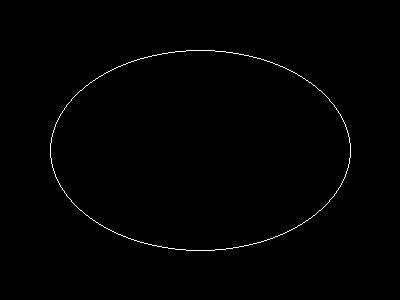 this example will draw an ellipse having the same width and height as the image.